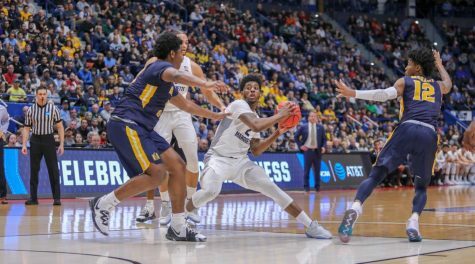 Thursday night’s loss to Xavier in the quarterfinals of the BIG EAST Tournament was the embodiment of the Marquette men’s basketball season. 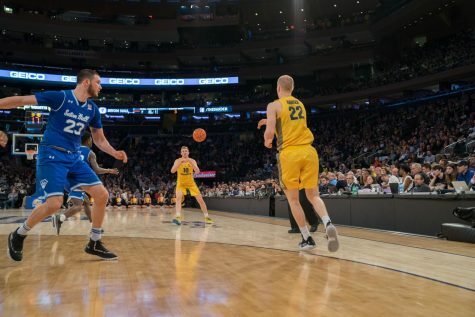 Tired legs, lost confidence and missed opportunities were abound for the Golden Eagles in a 90-72 beat down at Madison Square Garden in New York. 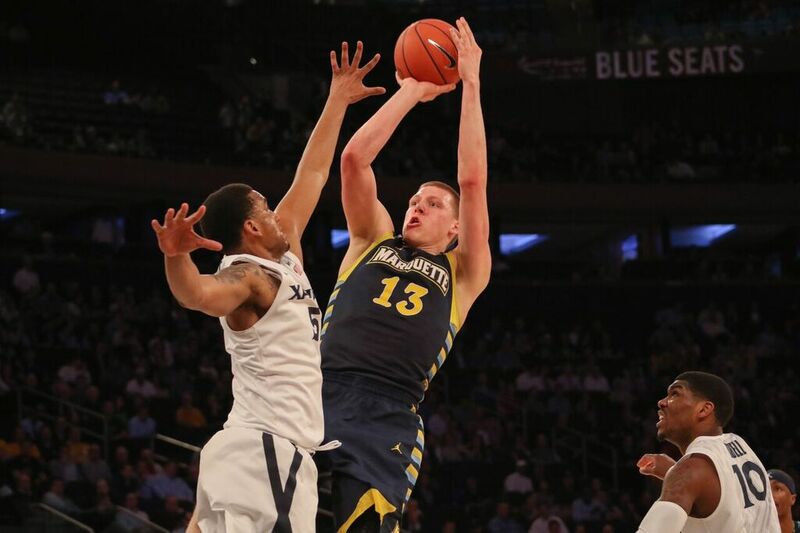 Barring a bid to a postseason tournament, the loss could be Henry Ellenson’s final game in a Marquette uniform. In a disappointing performance he had 14 points, three rebounds and two blocks. 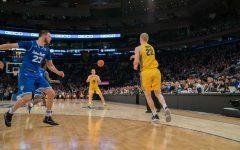 Ellenson was forced to sit during important stretches of the game in the first half after he picked up two fouls within the first three minutes. 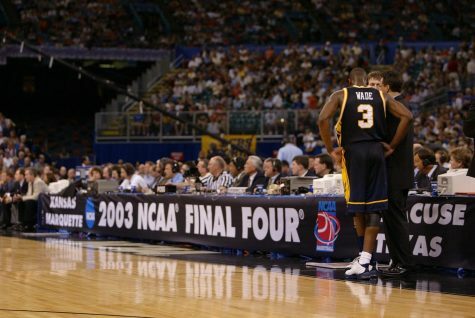 He committed his third foul – a technical foul for tripping a Xavier player – with about five minutes left in the first half. 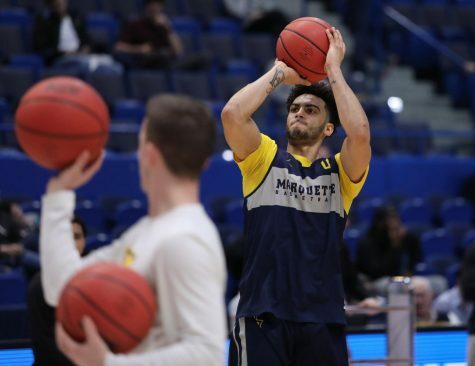 Johnson was the only Marquette player who was able to successfully penetrate the Musketeers’ frontcourt defense. He scored 19 points, including 8-for-8 on free throws, and added four assists and four rebounds. Fellow guards Traci Carter, Haanif Cheatham and Duane Wilson shot a combined 8-for-24. 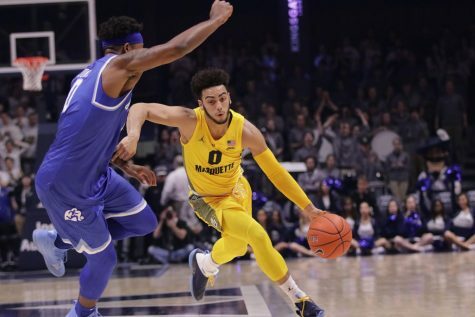 Xavier got off to a hot start, building an 11 point lead within the games’ first five minutes while shooting better than 60 percent. 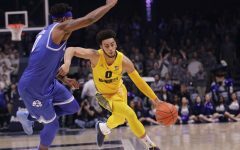 The Golden Eagles were able to force turnovers and fouls, which enabled them to stick around for much of the first half. They cut the lead down to five on a few occasions, but never eclipsed that threshold. The Musketeers closed the half on a 16-5 run, capped by a long three-pointer by J.P. Macura, to take a 46-30 lead into the break. 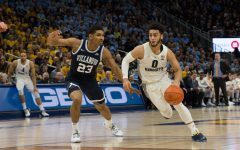 The Musketeers didn’t just match the Golden Eagles, but they put down the hammer on them. 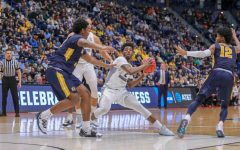 Xavier’s lead grew to 28 with 13:13 remaining as Trevon Bluiett took over the game. He hit four three-pointers in the second half to contribute to his career-high 24 points. 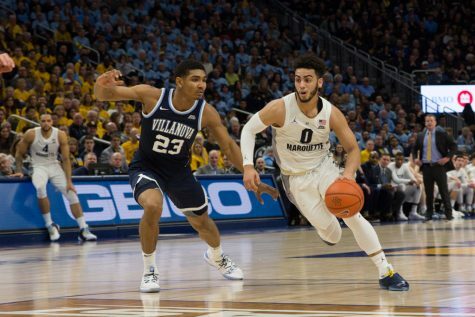 Xavier as a team was 11-for-26 from long range, while Marquette was a dismal 3-for-18. 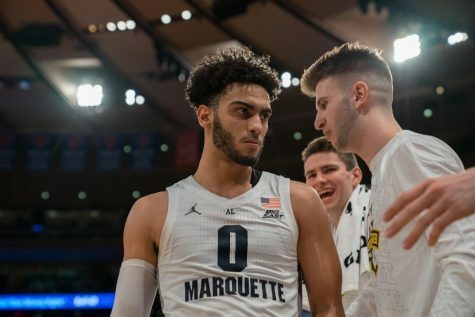 With the loss, Marquette missed out on a semifinal appearance in the conference tournament for the 6th consecutive season and fell to 10-11 all-time. With no chance of making the NCAA tournament, Marquette will wait in hopes of an at-large selection to the National Invitational Tournament, which will be announced Sunday night at 7:30 p.m. CT. 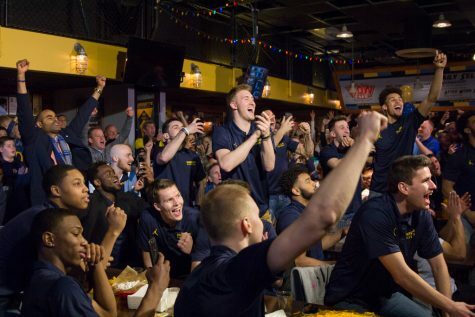 If the team doesn’t get that invite, a spot in the College Basketball Invitational is not out of the question.